Spinach Balls are always a delicious idea, however, why not change it up a bit with these Gluten Free Spinach & Rice Balls? These are a great option if you are watching your gluten intake or have friends & family that are GF, now they can enjoy them too! Bonus, you can make these in 15-20 minutes, start to finish with one of my favorite food brands, Veetee Rice! You know the saying, “a watched pot never boils”? That feeling often happens as one waits for rice to finish on the stove or in a steamer (my daughter will literally stand there and watch the steamer or pot the last 5-7 minutes, lol!) 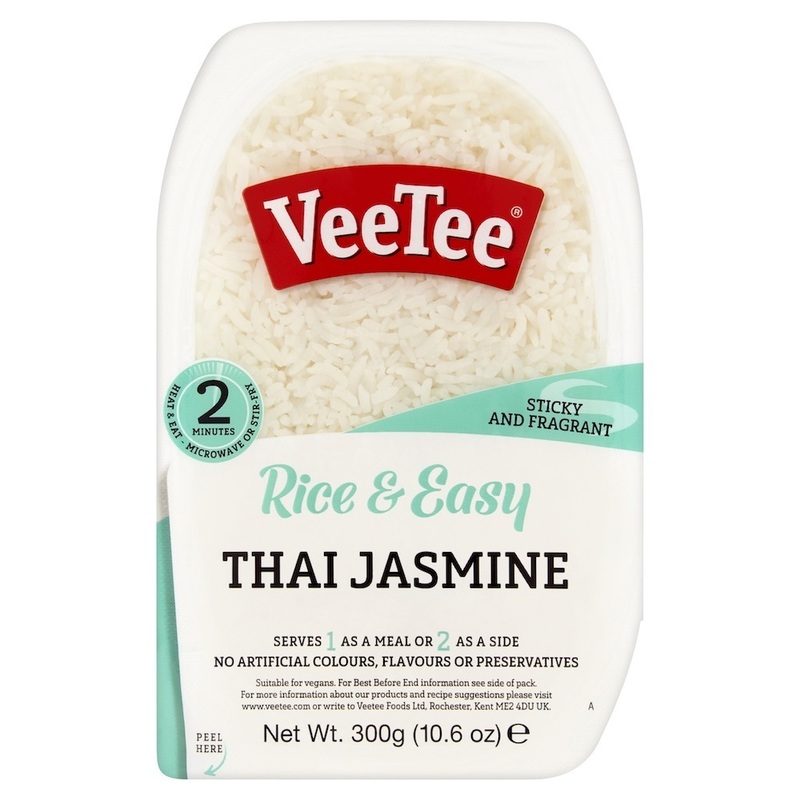 Well, Veetee Rice has solved that problem with their…wait for it!! GMO and BPA free, rice that is ready in 2 minutes flat! TWO minutes!! Veetee is suitable for vegetarians, ovo-lacto vegetarians and many varieties are suitable for vegans and most of their products are gluten-free as well. These Spinach & Rice Balls come together really quick. Squeeze your spinach dry while your rice cooks for 2 minutes in the microwave, toss the two together in a bowl, add in Parmesan cheese (which the heat of the rice will help melt), season with salt & pepper and then form into balls. After that, simply fry them in a lil’ bit of oil until browned and enjoy! These are so tasty! Watch the video below to see just how easy & cheese these babies are! I seriously love Veetee and have been enjoying it since my first try back in 2015. I also love that my kids (and often their friends) and pop a package in the microwave and have perfectly cooked rice in 2 minutes as a snack, component of a dish or as a meal. As you can see the packaging is different from what you will see in the video, Veetee literally JUST changed it. I like the clean & light look! This is my favorite flavor of Veetee. 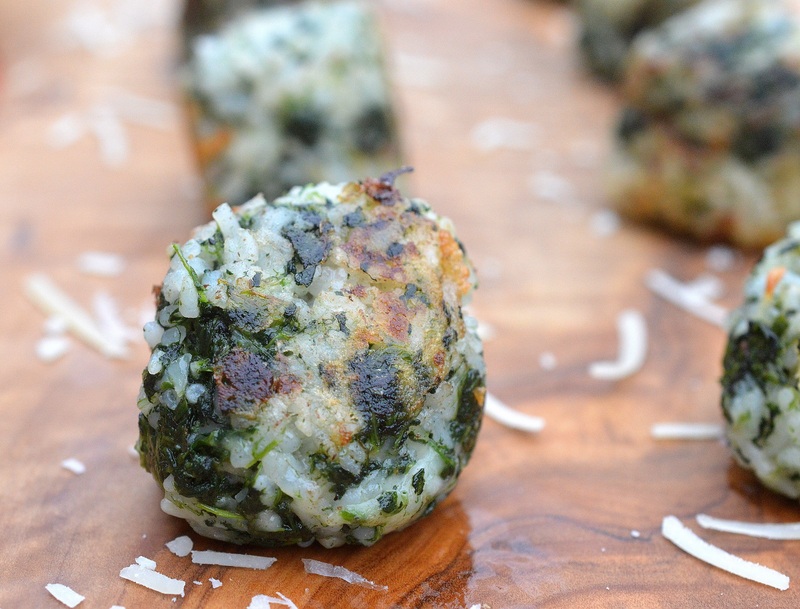 These Gluten Free Spinach & Rice Balls are SO easy to make and the kids love them too! Why not put them to work on this recipe? Let them take the lead, it’s that easy! All you need are literally 15 minutes or less and just like that, you have a delicious lunch, side, appetizer or snack. My kids dig them as an after school snack! Visit the Veetee website for all flavors and products as well as where to buy. Visit Veetee on Facebook & Instagram for recipes, news, specials and more. 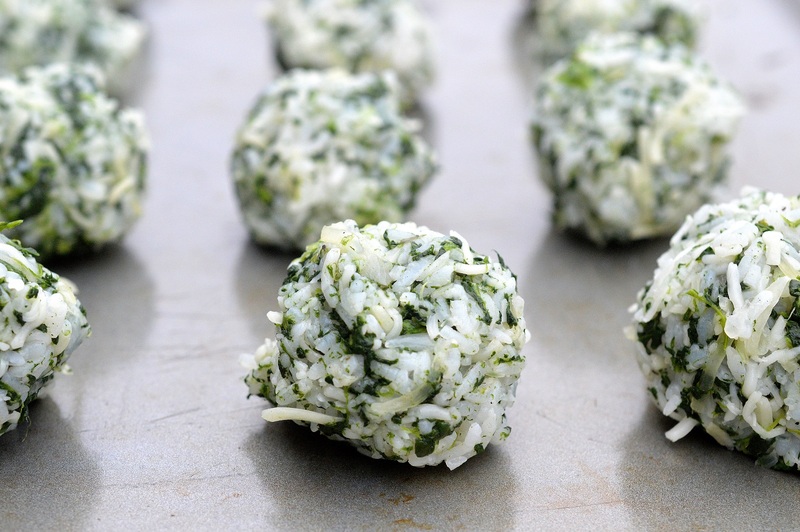 Easy to make Gluten Free Spinach & Rice Balls make a fantastic game-day or party food too! I always try to include a gluten-free app or two at parties and if I know the host/hostess of where we are going can’t eat something…I make sure what I bring, they can eat. So many can’t (or don’t want to) eat gluten. I have friends and family who, are GF, have nut allergies, shellfish allergies, meat allergies, are allergic to mustard, actual fish, fresh oranges, uncooked carrots, fruits, onions and more! It’s crazy trying to keep up sometimes! I even have a brother who gets anaphylaxis if he eats gluten and then breaks a sweat in a couple of hours. What??? Making these Gluten Free Spinach & Rice Balls take just a handful of ingredients. Customize this recipe and add as much cheese, spices, or spinach as you wish. Easy, good for you and delicious! Let me know what you think! Cook your rice according to package instructions. In a bowl, combine rice, spinach, cheeses and seasonings. Roll mixture into balls while still warm. Heat oil in a nonstick skillet and saute Spinach and Rice Balls for a few minutes, until sides are a bit browned and balls are heated through.